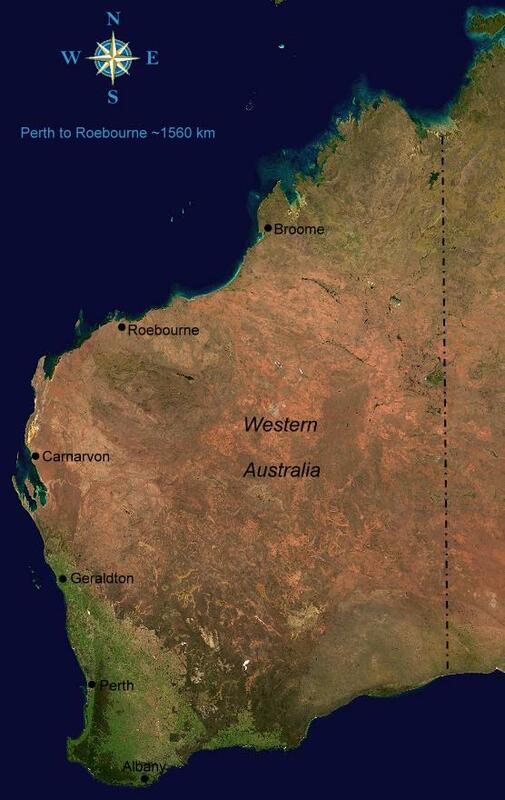 This is a basic satellite image map of the state of Western Australia. It gives an indication of the vast empty distances between Roebourne and the capital city, Perth. Western Australia covers some 2,525,500 square kilometres (approximately a third of the land mass of Australia). Its coast line is approximately 12,500 kilometres. In 1885, if you wanted to travel to Roebourne, say from Perth, you went by ship up the coast to the port at Cossack. Cossack (now a ghost town) was located 12km from Roebourne. This sea journey took approximately five days and could be perilous, especially in the cyclone season. This is a trip my own g.g. grandparents undertook several times. The shipping routes were Roebourne’s only link with the outside world until October 1885 when the telegraph line finally reached the town. On the morning of the 13th January 1885, after the murders were discovered, there was no time to wait for the next shipping service. A rider was dispatched to the northern most end of the telegraph line to a point believed to be about 120 miles (193km) north of Carnarvon. This was approximately a seven day journey on horseback across inhospitable country. Only then could could the awful news finally be relayed by “speaking wire” to Perth alerting the authorities to the murders; a delay of one week. The huge distances involved and lack of fast communication between Perth and Roebourne must have had a bearing upon the ensuing murder investigation.